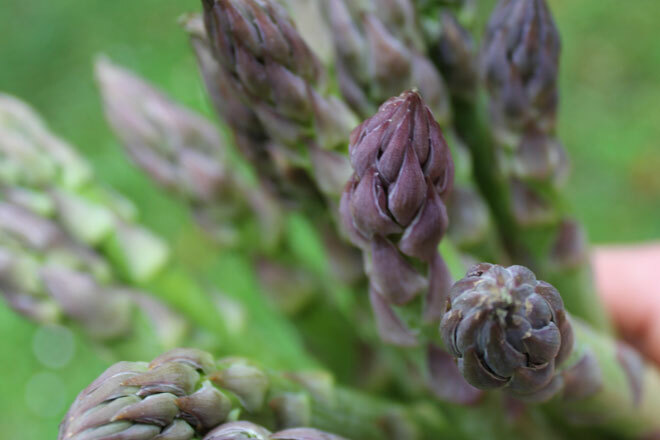 This asparagus recipe adds layers of all those classic french cooking traits to an ‘ingredients’ use with lots of flavour and fat to make an absolute treat of a snack. This is such a classic because the flavours are proven matches. Roll the bread so it is pushed down with a pin a place in a greased muffin tin. Crack one egg into each muffin hole, add a generous tablespoon of white sauce or béchamel on top of each egg, 2 pieces of shaved ham and a layer of the grilled asparagus chopped to fit the muffin top. a generous tablespoon of gruyere cheese on top. Bake at 180 for 12 minutes. Serve warm.